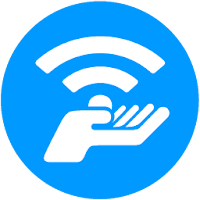 Connectify Hotspot is a popular, full-featured virtual router/hotspot software for your Windows PC or laptop. With this tool, you can transform your PC into a real WiFi hotspot, and share your computer’s Internet connection as Wi-Fi with any other PC or mobile device. The Hotspots are automatically secured with WPA2-PSK encryption, just like a conventional router. Thanks to the “Virtual WiFi” technology that’s built into Windows 7 and up, your computer can create a WiFi hotspot, even while it stays connected to another WiFi network. However, Connectify Hotspot is a lot more than just a wrapper around these command-line tools. It's a full suite of powerful routing software (NAT, DNS, and DHCP) that lets you share any Internet connection with any device that uses WiFi. Connectify Hotspot is available in three editions Standard, PRO, and MAX. Disclaimer: Direct downloads for the lastest version of Connectify Hotspot 2017.4.5.38776 are provided by the official software's author, we can't guarantee safety, availability or download speed. Moreover, we don't and we won't provide any pirated/illegal versions or tools. We recommend you to avoid it as these methods can harm your device. If you like the software, buy it to support the developers. (We provide software discounts for many worldwide brands).